Prior to my visit, I heard from so many people about the amazing food and the diversity of cuisines in San Francisco and I was really excited to check it all out for myself. In three days, my friend and I managed to pack in a lot of food. We hit up a lot of popular places, and we were fortunate enough to not have any long line-ups. The longest wait was at most 5 minutes which surprised me considering everyone told me to expect long lines. 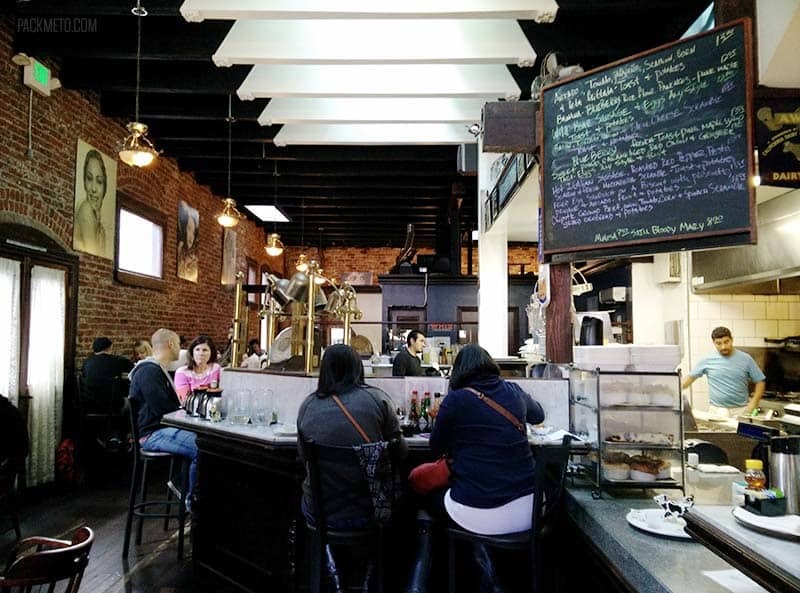 San Francisco is a huge food loving city and I had compiled a massive list. I for sure wouldn’t be able to get everywhere, but I definitely was going to attempt to try as many new things as possible! Here’s everything I ate while in the Bay Area. We only went out for breakfast once while in San Francisco. Both of us preferred to have a lazy morning and sleep instead of standing in line for food. 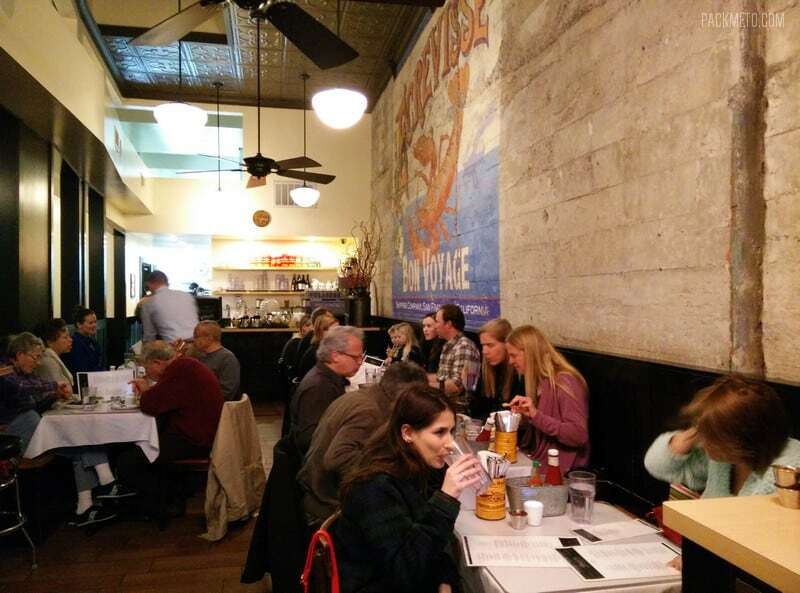 On our last day we grabbed breakfast before going on our separate ways to Alcatraz and to explore North Beach. We picked this place because it was close to our hotel and was rated decently on Yelp. In the end, I was pretty disappointed by my meal here. While the food was okay, service was really slow and it took forever to get our order in. We were trying to maximize our time on our last day and didn’t want to dally over a long breakfast! 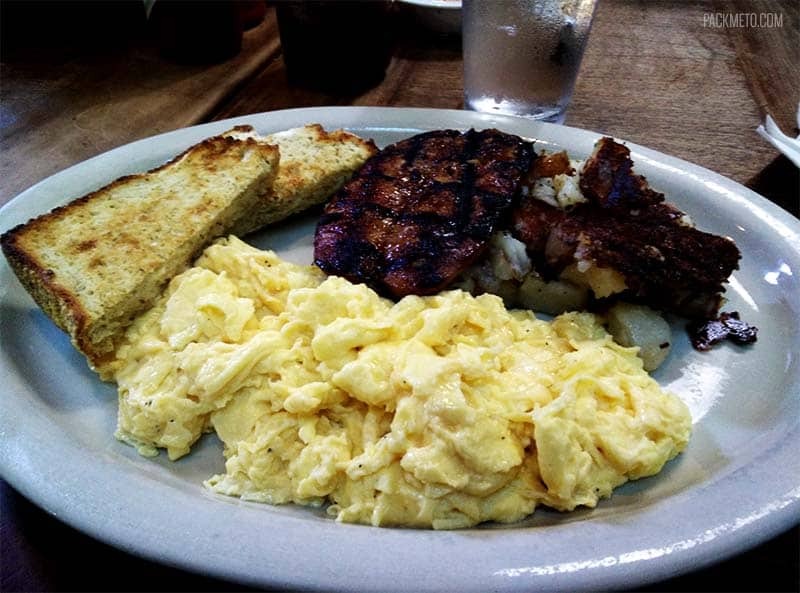 I got two eggs with apple chicken sausage and buttermilk dill toast. My hash browns varied from being burnt to a crisp and being kind of soggy like they had just be pulled from being boiled. The buttermilk dill toast was definitely unique and my eggs were fluffy. I forgot as with most things in the states, that portions were going to be huge and I didn’t finish my meal. The atmosphere was really unique though. The decor is pretty eclectic with random bits of prohibition era paraphernalia around the restaurant. Nothing like eating a meal with pictures of scantily clad women around the room. Our original plan upon arriving in San Francisco was to hit up some food trucks that would be parked close to our hotel. Our flight would have gotten us in right around lunch time, but it just wasn’t meant to be. We were stuck in Seattle’s airport with delay after delay because of San Francisco’s weather. Typical. Regardless, we still managed to have two lunches in the city. 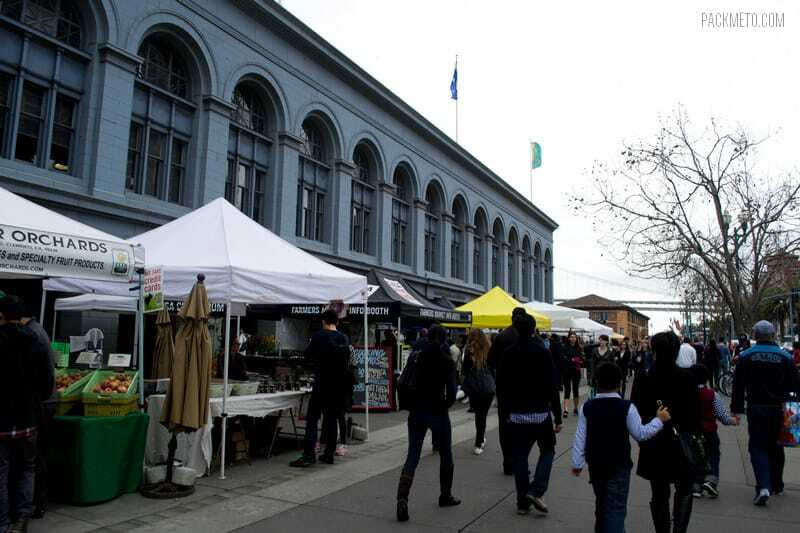 If you’re hungry on a Saturday around lunch time in San Francisco, the place to be is at the Ferry Building for its Farmer’s Market. The building on a regular day is filled with lots of eateries and food shops, but on the weekend, the outside surrounding area is also filled with local produce and pop up food stalls. After a quick wander through the building eyeing some meat cones, oysters, and ice cream, I ultimately decided to go with this food truck that one of my coworkers raved about. Get there early though because once they run out, they run out for the day. It was towards the end of the day, they were starting to run out of food! 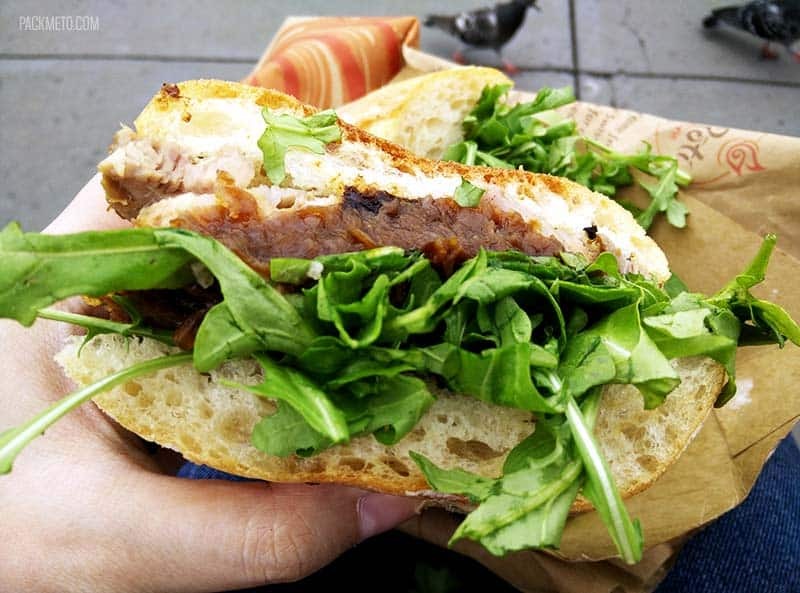 I ordered their porchetta sandwich which came with arugula and onion jam. While it was certainly a tasty sandwich I found it to be a bit dry in places. There are other items on the menu like the ¼ chicken and roasted potatoes my friend ordered. Their potatoes are roasted in all the fat drippings from the cooking pork and chicken making them extra yummy. If you’re considering getting a sandwich, don’t let the long line scare you away. Because of the limited number of items they have, the line moves really fast. All they need to do is assemble and hand out the sandwiches. The line for chicken moved slower though. Other things of note in the Ferry Building: Blue Bottle Coffee Company, Humphrey Slocombe, Boccalone and Hog Island Oyster Company. These were all recommended to me, but I didn’t get a chance to try them. My friend did get a coffee from Blue Bottle, but not from their store in the building. They also had a stall outside at the farmer’s market which had a MUCH shorter line. Also, if you want to try the infamous Rebel Within from Craftsman and Wolves, they also have a stall at the market and no line when I walked past. 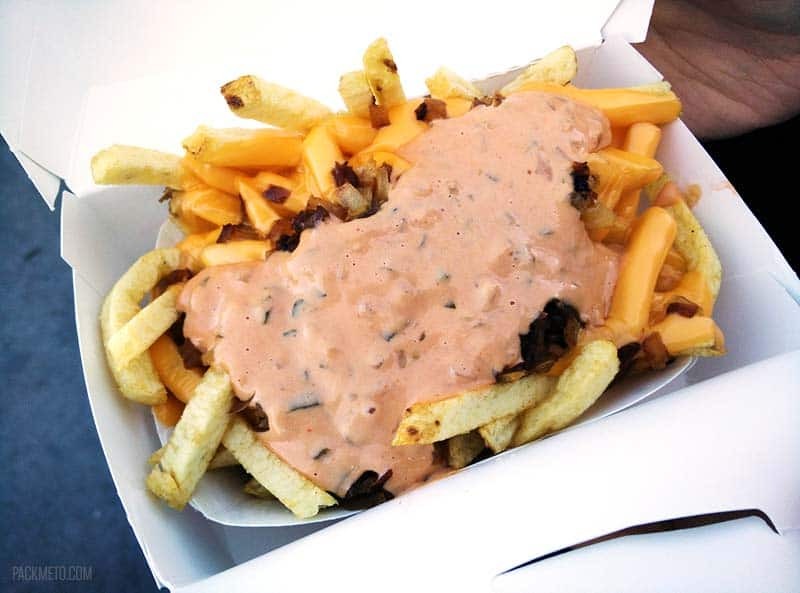 Mention that you’re heading to San Francisco or southern California around these parts, and it’s guaranteed that they will tell you to go eat at In N Out. Long tooted for its not so secret menu, we ordered Cheeseburgers and fries animal style to share. While the lines are long, it moves quickly. Seating is limited, but we grabbed our burgers and headed to sit by the water to enjoy them. Not the best burger I’ve ever had, but for its price, the burger was delicious. Now if only they would open up north of the border. This meal was hands down the best meal of our whole trip. I had multiple people recommend this place to me, and I was eager to check it out especially since Vancouver doesn’t have much soul food. I was expecting a long line, but luck was on our side. If you want to line up for a table, make sure you put your name on the board by the door! Thankfully we didn’t have a long wait. We wanted to try as many things as possible on the menu, so we only ordered one main dish and got a whole bunch of appetizers and sides to share. We had so much food on the table that we were running out of space. We barely finished everything. 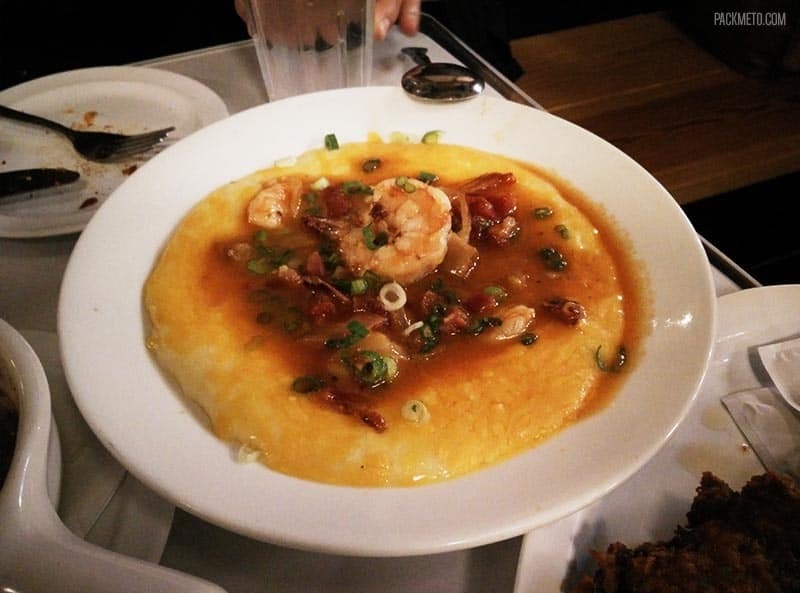 The highlight for me was this amazing shrimp and grits (below) which was loaded with cheesy buttery goodness. I’ve had grits, but never had I had grits like these. Amazing. We also tried their gumbo, fried chicken, and both sweet and savory beignets. We had a crawfish beignet to start and then split a trio of original, apple and chocolate beignet for dessert. Needless to say, we were so stuffed. We had to take our dessert to go which we later enjoyed in our hotel room with some wine. Note: Brenda’s is in the Tenderloin district which isn’t the best neighbourhood, but we felt perfectly safe there at night. 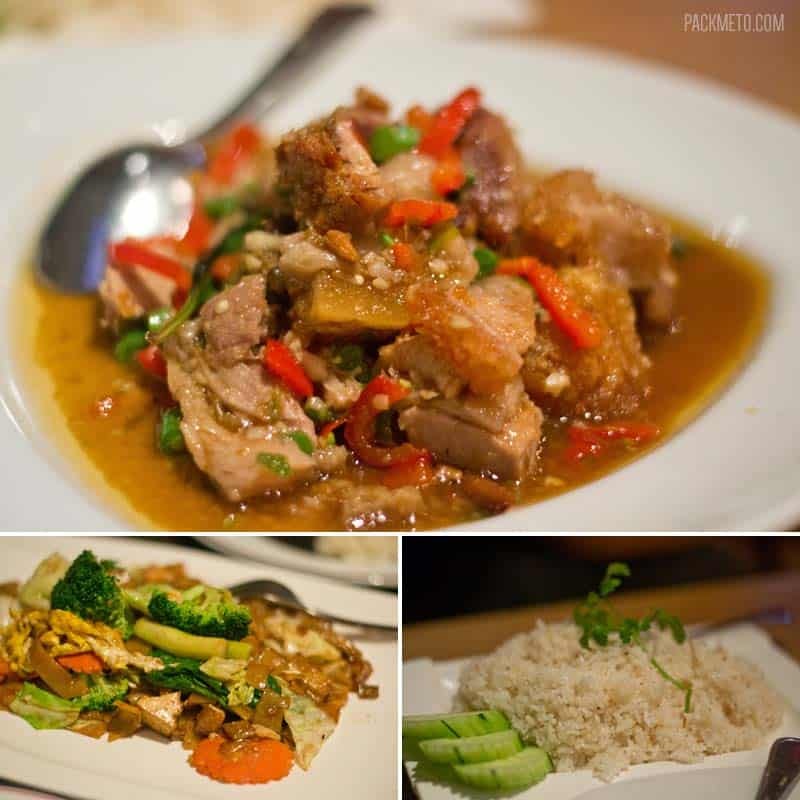 While there are a number of Thai places in Vancouver, they all serve the same typical Thai dishes. Nothing too out of the ordinary. This is why I was excited to check out Lers Ros Thai especially when I saw dishes with unusual proteins like frog, boar, rabbit, and alligator on the menu. Sure, they had all the typical dishes you would find in a Thai restaurant, but they offered a whole lot more that I had never heard of (with normal stuff like chicken and pork too). We didn’t get anything too adventurous, and stuck to recommended dishes. We ordered the crispy pork belly with basil and peppers with a side of garlic and ginger rice as well as a dish of Pad See-Ew (rice noodles with veggies). The crispy pork belly was everything everyone said it would be. Deliciously crispy, fiery hot, and perfect with a bowl of rice. It’s definitely a dish for the health conscious though as the whole thing was drenched in oil. The garlic and ginger rice was so flavourful I could pretty much eat it all on its own. I really enjoyed the rice noodle dish as well and I’m glad we decided to go vegetarian with that one because there was just so much meat. I really enjoyed my meal here and would definitely go back to try some of the other dishes. They have multiple locations. This one is also in the Tenderloin district so just be aware. A little known fact: I’m not a major sweets person. I don’t even like chocolate that much (sorry!). Yes, I eat it, but I don’t have cravings over it. Plus, usually by the time I’m done with my main meal, I’m so stuffed that dessert just doesn’t make sense. However, we did manage to try one dessert place. Known around the Bay area for having delicious frozen yogurt, we had to check it out. 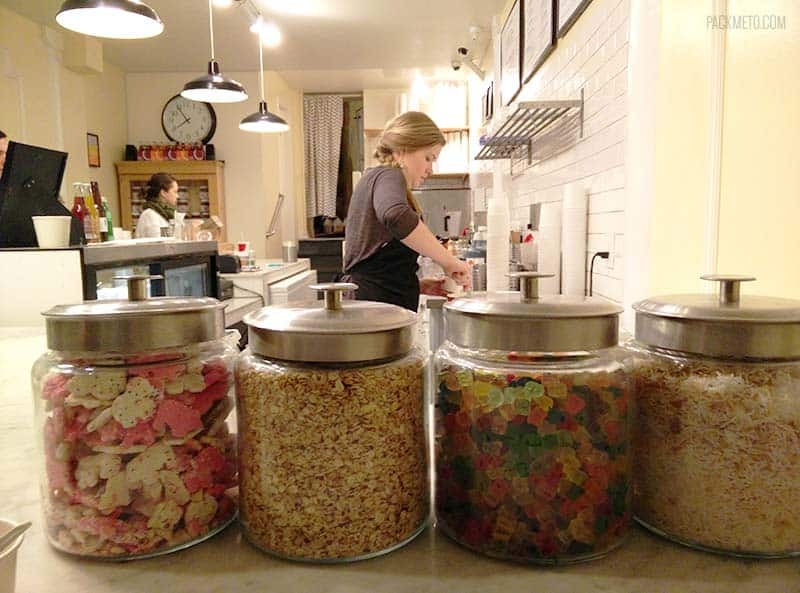 However, Loving Cup sets themselves apart by being all about using local and organic ingredients to make their desserts. 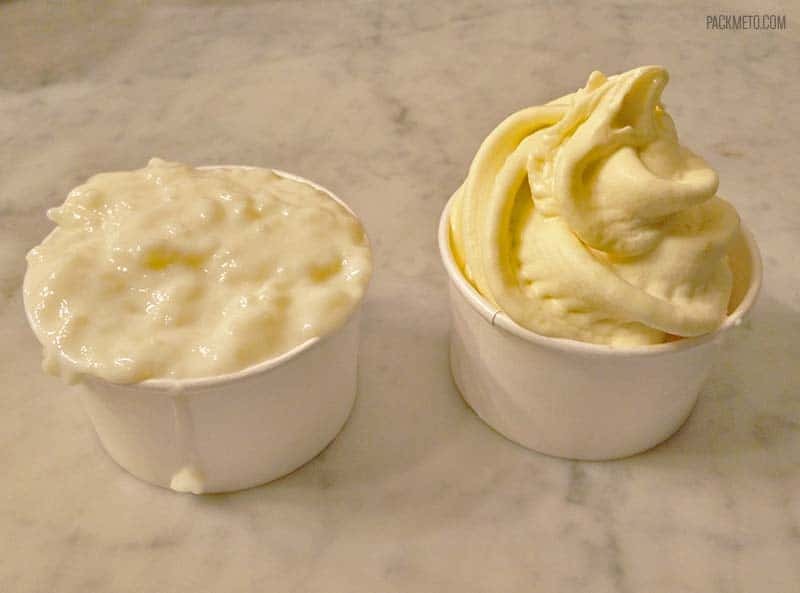 Every frozen yogurt is made to order by hand churning ingredients of your choice into the yogurt. They’re also well known for their rice pudding. We ordered one of each: mango frozen yogurt and the vanilla rice pudding. Rich and creamy, it definitely hit the spot. Note that there is another location at 535 Octavia St.
All in all, I ate well while in San Francisco. In a city of so many restaurants and food lovers, I think it is hard to go wrong when trying to pick someplace to eat. I have so many more places I would love to try, so I feel it’s already time for me to start planning a return trip! Do you make an effort to try different types of cuisines when you travel? Do you plan where you go in a day around places you want to eat or do you pick what you want to do and then find food later? I love posts about the food of a place! We always consider food experiences a really important part of any travel…and usually we already have the restaurants for dinner chosen for each day – but we wing it for lunch. Most of this San Francisco food looks great…but I would pass on the rice pudding. I still have nightmares about the rice pudding we were served in boarding school!! I agree! Food is such an important aspect of travel, but I feel in a lot of metropolitan cities, there isn’t really anything super unique about the cuisine, unlike going other places in the world. But I guess you can always go for the experience or to just try something new. You’re making me hungry! I remember going to Chinatown for dim sum in San Francisco a few years ago – it was scrumptious. Yum yum yum!! I definitely didn’t eat this well the times I went to SF!! I think back then, I was in the ‘broke with no money’ mindset. 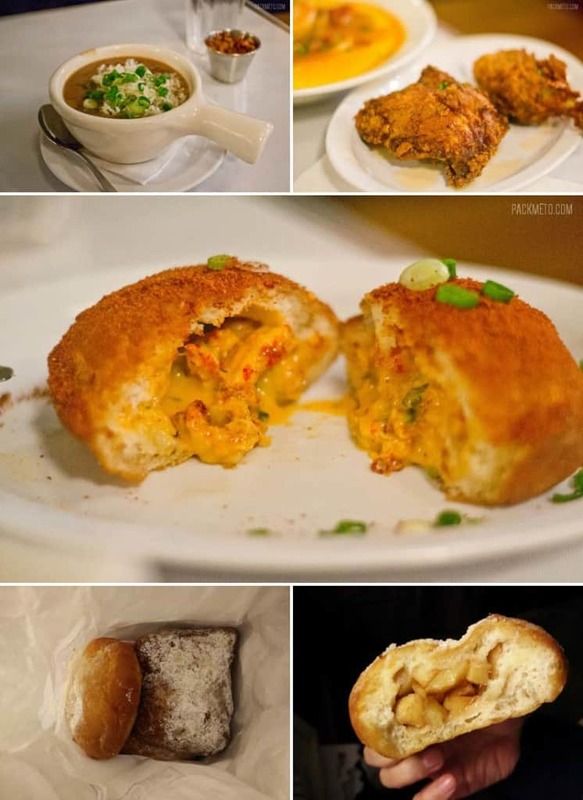 The crawfish beignets had me absolutely drooling!! And the rice pudding looks good to me too for some weird reason. And ah yes… In n Out! It’s literally the only burger I’ll eat, as I don’t like burgers too much. Ah, yep, being broke makes it hard to enjoy the variety food in the city for sure. The first time I was in San Francisco I had the same mentality so it definitely was interesting being back and trying all these foods. Yum! These are some great choices. I especially like the soul food and the crawfish beignet. Writing that down for our next trip up. Love In-N-Out and it does satisfy my burger cravings. Glad you ate well! We usually plan attractions and find the nearest place to eat with help from yelp. 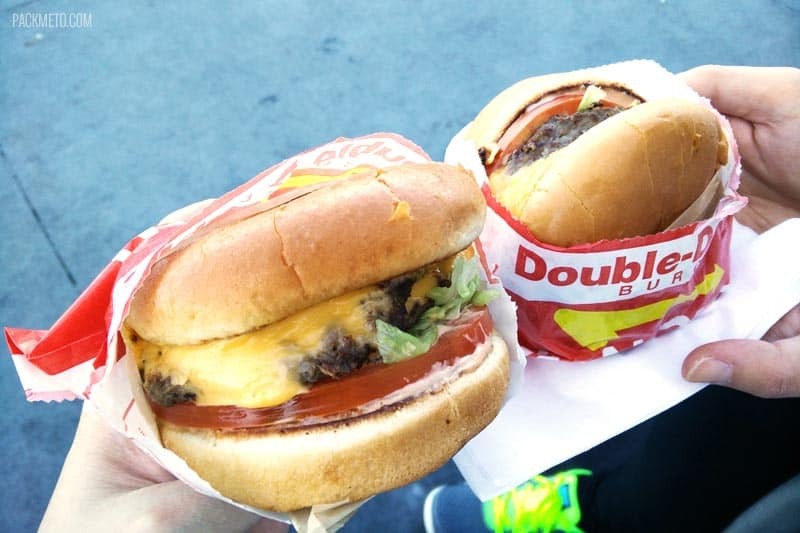 I can’t wait for my next In N Out fix already. I’m sort of like that too. I generate a huge list and see which ones are close to the attractions I want to visit and go there. I am loving all the food link ups this week! Yum! Oh, it’s the other way around for me, I love sweets! When I travel, though, I just eat what I find around by the time I’m hungry, preferably a local restaurant. Or I carry some food with me if it’s a place where I cannot afford eating outside. Ohh yes. I think if I were in Asia, it would be a lot harder to find specific restaurants and I would almost just prefer wandering into some random food stall or pick a place where there are lots of people. And snacks are always a good idea especially for me. Hangry is not a good time. I already have so many things I want to see in San Fransisco. Now I think that when I get there, I’ll do nothing but eat! That’s pretty much what I wanted to do. Such a gluttonous city! San Francisco is such a good food city! I can’t remember the names of the restaurants we visited there, but I do remember that they were all really good! Agreed! 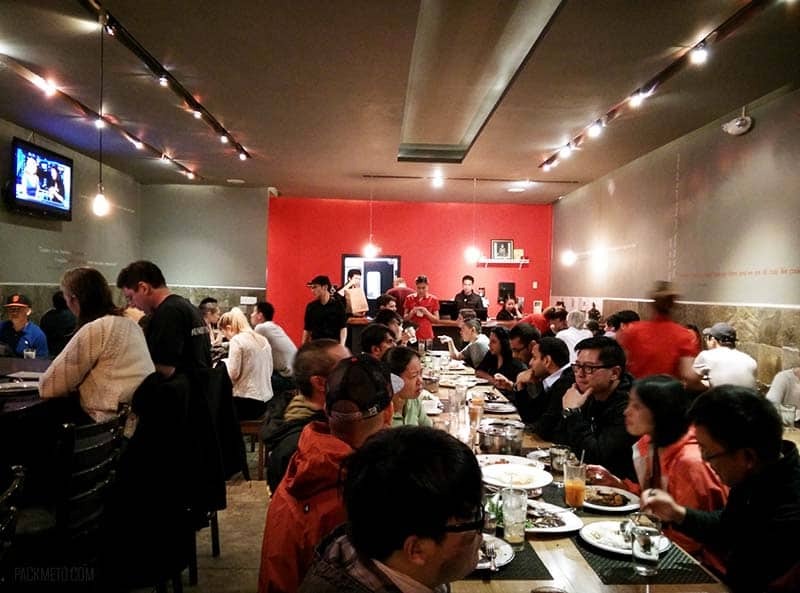 I think it is hard for a restaurant in San Francisco to exist for long with bad food or service. Everyone likes to eat and word will get around eventually. 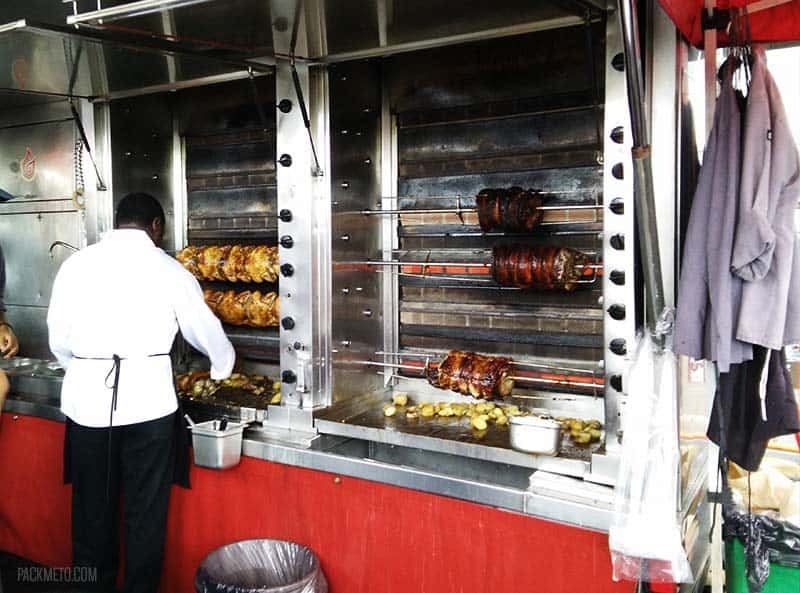 Your post needs a disclaimer – “Do not read if you’re already hungry!! !” I really need to work on my food picture-taking skills. My pictures don’t look half as appetizing as yours (or maybe I just need better subjects? All I know is that I wish your pictures were sitting in front of me, ready to be devoured!). Haha, maybe I should have put that on at the top 🙂 My secret for drool-worthy photos? The lens on my camera does all the work. I used a 50mm f/1.8 lens and it makes everything look amazing. I keep hearing/reading people sing the praises of In N Out burgers. I always try to eat healthy but I can never resist a good burger and yours certainly looked tasty. The burger definitely was tasty! I wouldn’t mind another one right about now actually. I adore those frozen yogurts of the photo, seem so heavenly creamy! Just one thing missing – some seriously cool Napa wines to drink with these great food. How I miss In N out!!!! I use to get my cheese only with the onions and I think monster style.